Sambar and coconut chutney are ‘wet' curry like based foods popular for breakfast. They are commonly eaten with idli or dosa (fermented pancake) to soak them up. 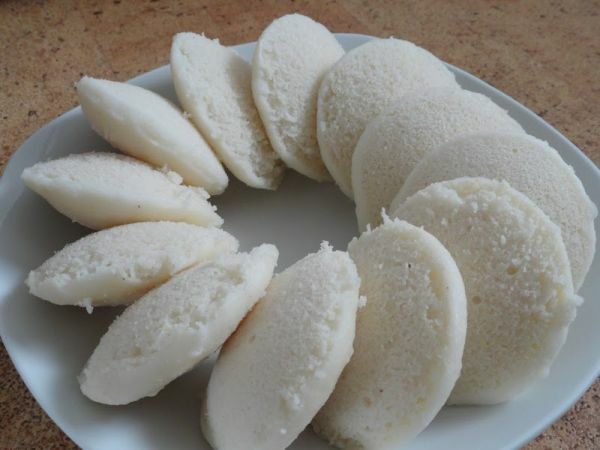 This is the recipe we learnt for making idli, which is a small cylinder of pressed rice, almost like a savoury cake. The batter used to make the idli is the same as for dosa, so both can be made in one go. 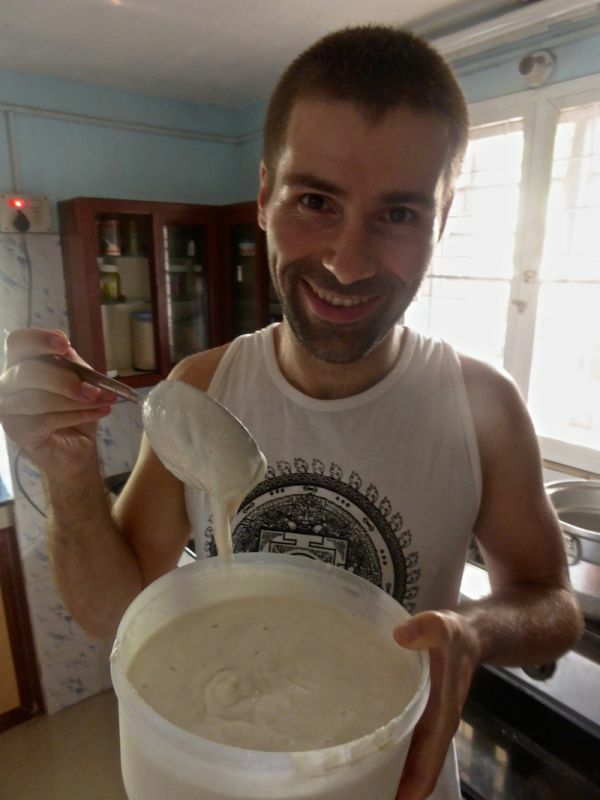 Sebastien posing with freshly made batter for idli and dosa. This recipe involves using a particular steamer used for making idlies – see video below for more. The ratio of rice to lentils (uril dal) is 3:1. The following day, retrieve the mixture and mix in 2 teaspoons of salt. Grease x2 muffin like baking trays with the coconut oil and with kitchen roll. Place the batter in each baking tray space and place into the idli steamer, cover and cook for around 10 minutes. To test if it's ready, press a fork into the idli and if it comes out clean, they're cooked.